هتل لارا هادریانوس را به صورت آنلاین رزرو کنید! جهت اقامت در آنتالیا از تاریخ جمعه ۶ اردیبهشت ۱۳۹۸ به مدت 1 شب، 65 هتل یافت شد. The hotel has 132 rooms. All rooms have balcony, hairdryer, air condition, satellite TV, minibar, direct dial phone and safe box. 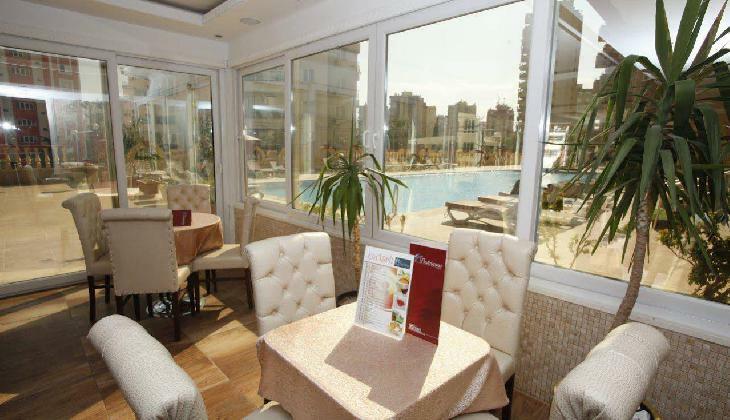 * The hotel has a main restaurant and indoor restaurant where you can taste the delicious meals of hotels. Also there are 2 bars as Lobby Bar and Pool Bar. * Besides you can rent a car, bike or motorbike to see the natural and historical beauties of Lara. Lara Hadrianus Hotel is built in Lara in Antalya where is the holiday paradise in Turkey. 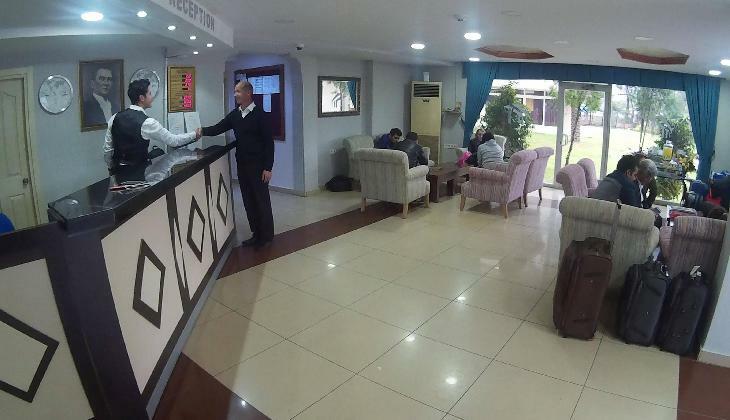 The hotel offers you the best comfort and hospitability with well equipped rooms, restaurants and other units. Lara Hadrianus Hotel is located in Ornekkoy Mevkii İn Lara. It is 9 km to the Antalya Airport and 5 km to the centre of Antalya. The hotel has a shuttle bus services to the Private Lara Beach Club. It is just 3 minutes.